Due to the recent stories shared in documentaries about aesthetic treatments going horribly wrong, we’ve decided to let you in the secret world of aesthetics and share the process live with our clients. The series of blog posts and Instagram live streams should help you to know when you’re in safe hands or not, wherever you are in the UK. If you missed out, last week we shared Claire’s experience of lip filler and gummy smile treatment; and this week we are sharing Nikki’s experience with our smile line filler treatment. We recently met the lovely Nikki, a Fitness Manager, who came to see us all the way from Northampton. Nikki wasn’t sure what to expect as it was the first time she was having the Nasolabial Filler, also known as ‘smile line fillers.’ Although she did mention she had previously had Botox, but a few years ago and never experienced any treatment with dermal filler, which is different to Botox. As always we carried out a thorough consultation, where we explained the benefits, risks and process of this treatment as we did with Claire’s treatment in the previous blog post. During the consultation, Nikki explained she wanted to feel and look better especially as she works long hours as a manager facing people daily, and was becoming more conscious of her appearance and lines developing around her mouth over time. If you’re experiencing the same and wondering why this happens over time, well, the volume is lost over time due to factors such as age, stress and even exercise. Juvederm Filler is used to naturally replace the volume. This filler contains hyaluronic acid which naturally plumps up the skin aiding you to look more youthful. This particular type of filler can last 6 to 12 months. Although, as Nikki exercises regularly due to her long hours as a Fitness Manager, we pre-warned her that the filler might not last as long as other clients due to the filler breaking down quickly as the body metabolises. Nikki was now aware she may need to come back for more regular top ups to maintain her full and youthful appearance and was still happy to go ahead. As always before we started we used instant numbing and used the world-renowned VIBRATA by Dr. Simon Ourian, which reduces not only the pain but swelling and bruising around the nose and mouth. We proceeded with Juvederm Ultra 3 1ml Filler, which contains natural hyaluronic acid that instantly smooths out the lines particularly well around the mouth. This is then followed by massaging the area throughout the treatment and after, which is a crucial element so all the filler is evenly spread into the area and no bumps or lumps occur. Finally, our favourite bit we showed Nikki and demonstrated how she needed to massage at home for the next few days with the arnica gel we provided her. In the end, full aftercare was given to Nikki as well as arnica gel which would help with the healing process. The treatment is great as downtime is at a minimum (heals quickly) and make-up can be worn after 12 hours. The pictures show the instant difference filler has made, Nikki was very happy with the treatment and we look forward to seeing her again for her review. If you're still unsure about smile line filler treatment or have any questions, please don't hesitate to contact us or you can always book a free consultation. I’m sure you’ve been hearing about unqualified practitioners carrying out Lip Filler, Botox and other aesthetic treatments and it going wrong. As qualified and trained aesthetics specialists based in Bedfordshire we are sharing the process with you. Join us as we share our client's experience, what should be happening, and what to expect no matter where you are in the UK. If you missed the procedures on Instagram live, don’t worry we have it right here. Claire came to us feeling self-conscious about her gummy smile; a gummy smile is where the gums are overly exposed when smiling and the upper lip seems to be non-existent. We usually recommend a small amount of Botox on the upper lip area but results are much more effective if the treatment is combined with lip filler. This is because the lips are also given a fuller appearance and definition. As a Teaching Assistant, Claire is always smiling, laughing and talking with people and aware of it. She explained from a young age she hated taking photos; she has always been aware and uncomfortable because of her gummy smile and avoids smiling at all. During the consultation we advised Claire of the benefits, risks e.g. bruising/swelling and process of the treatment. For instance, with the gummy smile we use Botox and a 2-week review is carried out where a top up can be done if needed. Gummy smile Botox is an advanced procedure and must be done with care. Too much Botox in the area can restrict mouth movement, talking and eating. As qualified and trained practitioners, we only insert a particular amount which varies for each client and then topped up after 2 weeks if needed. The next stage was lip fillers, Claire was aware her top lip was naturally thin and we recommended building up with more filler over time. We both came to the decision to start with 0.5ml Juvederm filler as it was her first time. We went ahead with the instant numbing cream and the gummy smile Botox which does not take long. Essentially, the area is cleaned and marked; followed up a new fine needle that injects a small amount of Botox on the upper lip area. Claire added she was feeling very anxious and worried about the pain It didn’t help that as she did not know what to expect as it was her first time having any sort of aesthetic treatment. Although, we helped her relax so she was comfortable and felt no pain, thanks to our numbing cream which instantly made a difference. 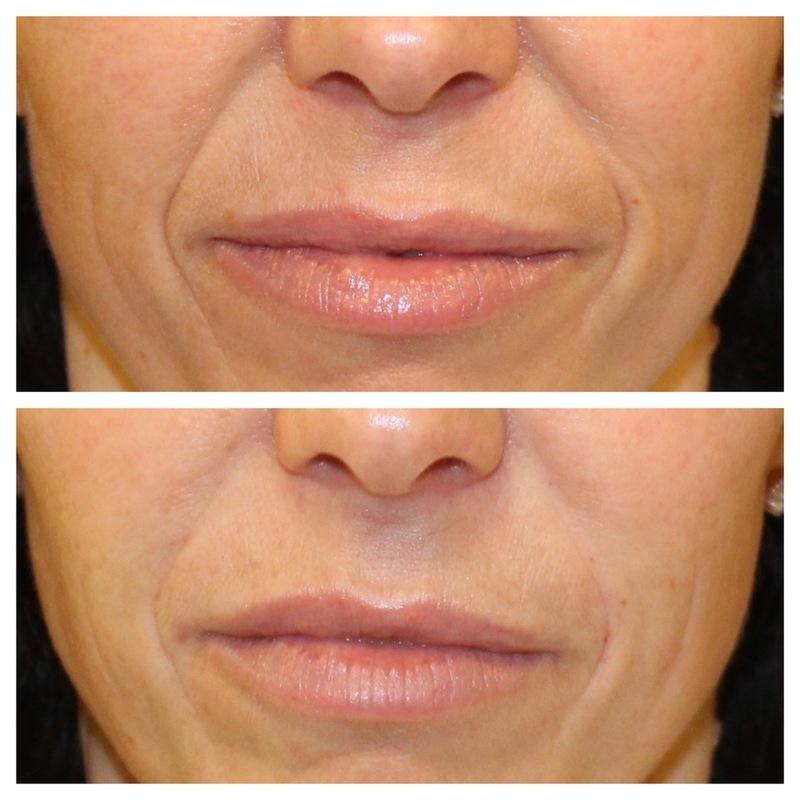 Here is the before and after of the gummy smile botox and 0.5ml lip filler treatment. The lip filler process takes slightly longer, hyaluronic acid is injected around the border of the lips to add more volume. The VIBRATA by Dr. Simon Ourian used by specialists creates a more comfortable experience, massaging the area as the filler was injected. 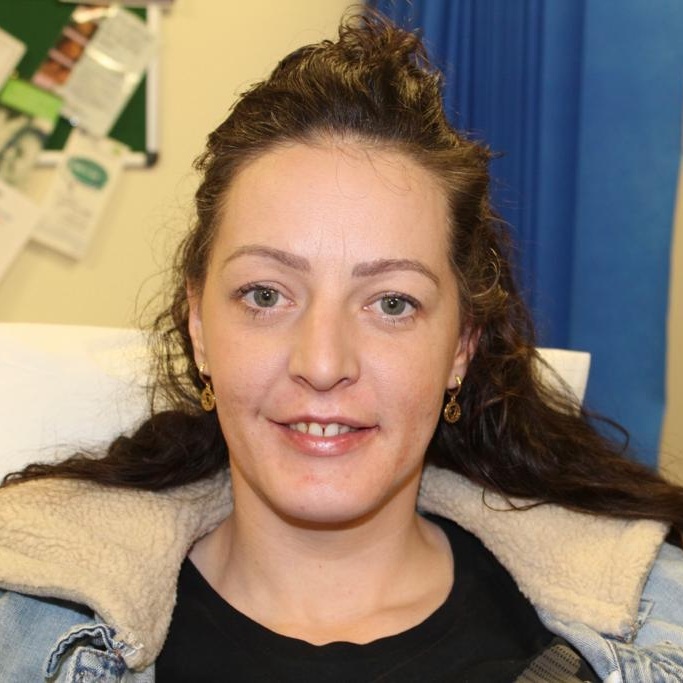 After the procedure, a full massage was done and some visual bruising and swelling occurred although Claire mentioned she bruises easily and understood the risks before the treatment was done. Also, she was reassured after the treatment as the skin recovers within days. We also recommended ice and arnica gel to use and an aftercare sheet was provided. Claire left with a spring in her step, smiling and ready to take Instagram photos with her friend. We love making our clients happy and look forward to seeing Claire in 2-weeks for her review and we will be sure to keep you updated on her progress and results. If you're still unsure about gummy smile or lip filler treatment or have any questions, please don't hesitate to contact us or you can always book a free consultation. 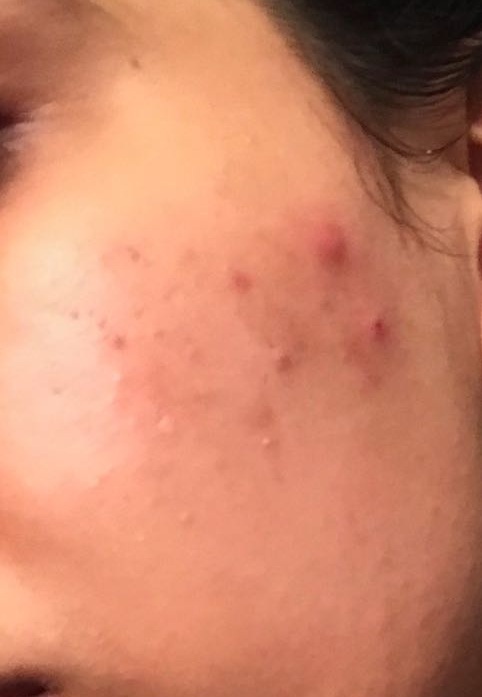 As the Founder of Escape Aesthetics, I’ve never had to write such a difficult blog post; it’s about my personal battle with acne and the challenging journey. After speaking to my team, I’ve finally chosen to share my story with you all. It has been 7 years since I have been suffering on and off with acne and it had got me feeling low and deflated. The main reason I started Escape Aesthetics was because I wanted to help people feel great, especially those suffering with the same condition as myself. I knew I’d be able to relate to them and help them through it, plus I’d finally found a solution which I will reveal but stay with me. It hasn’t been easy on my journey to get to that solution, over the years I’ve spent a ridiculous amount on skin care products, natural products, and treatments. Yes, I have tried and tested nearly all of the home remedies which are known to help acne skin. I always make sure I share my own skin care tips and knowledge with all of my clients too. I don’t want them to waste their time going through what I have for years. It soon affects your self-esteem, career, and life. In the past, I have tried 10 sessions of standard beauty microdermabrasion but it was frustrating as I saw no difference after all the money I had spent. I was lucky as when we started Escape Aesthetics we invested into skin care treatments for our clients. From research, we found Medical Microdermabrasion was 3 times more powerful than the ‘standard microdermabrasion’ which I had experienced in the past. 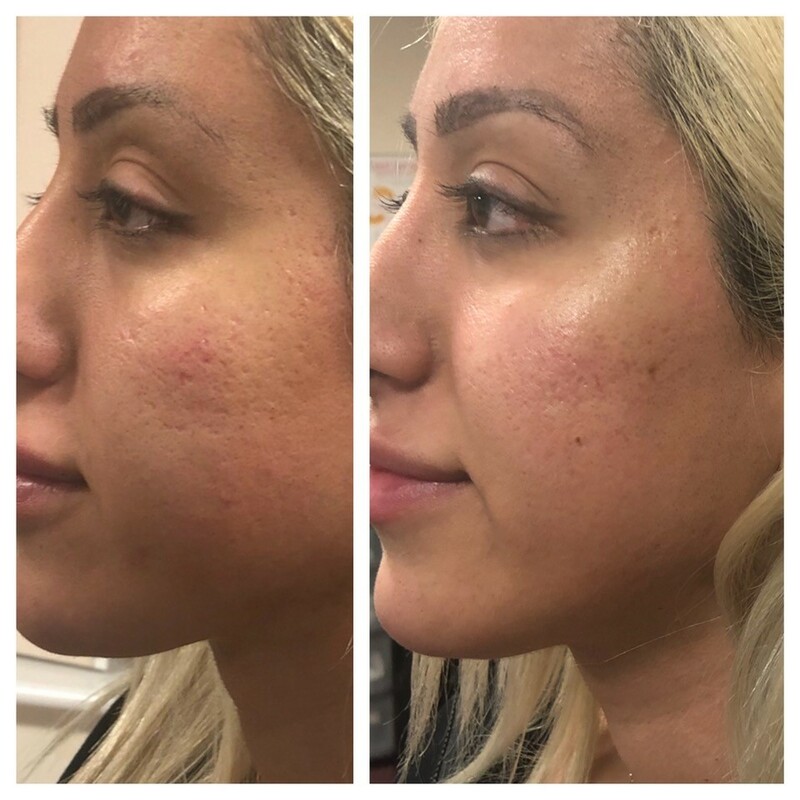 As a result, I had 3 sessions of glycolic acid chemical skin peels combined with medical microdermabrasion and saw an instant difference with my skin, I had fewer breakouts and the scars were fading away. If you suffer from acne you will know there are many other contributing factors that can cause breakouts, including diet. I’d highly recommend an intolerance test as I found out I was dairy intolerant, which was causing my acne to become aggravated. As you can understand, it was very hard to control as that meant giving up chocolate and not to mention milk and cheese which are essentials for many of us. Even when I thought my skin was getting better with the controlled diet I was still breaking out. Many people would not understand, even close friends and family would comment on my skin which would make me feel insecure and slowly my confidence was crumbling. I’ve always hated wearing too much make-up and dreamed of having naturally healthy skin. The ultimate goal would be to wear nothing on my skin except for SPF (sun protection). SPF is the secret essential for life long healthy skin. No matter what the season SPF is recommended as it’s similar to wearing a layer that protects your skin and it’s the secret to looking 10 years younger. By this time, I was still experimenting with lots of different skin care products but my skin was at its worse even after the glycolic peels I had tried. Then my team and I were introduced to a new skincare brand called ‘AlumierMD’, a global skincare brand which only uses natural, active ingredients suited to every skin type and condition. As I am obsessed with skin care, I was intrigued and immediately did my research to find out more about the brand. I did not know if it would work for me but I took the plunge for my clients who were suffering with various skin conditions. I jumped on the opportunity to train with AlumierMD and start providing their chemical skin peels and home-care products at Escape Aesthetics. Although, on the day of our training I remember feeling super anxious about my skin as I knew we would be treating each other. I tried to cover up the breakouts but I knew whatever I did they were visible. It was also my birthday week and I didn’t want my skin to get any worse. After debating with myself and the trainers, I decided to go ahead with the treatment and had a medium strength glow peel. I was super excited to use their products after learning all about the active ingredients which will help acne prone skin. As a result, when I got home I threw away all of my current skin care products and started using the AlumierMD acne range. Yes, I had this much faith in the brand. My skincare routine was extensive and since then I have had 3 more AlumierMD radiant 20/10 salicylic acid chemical peels. 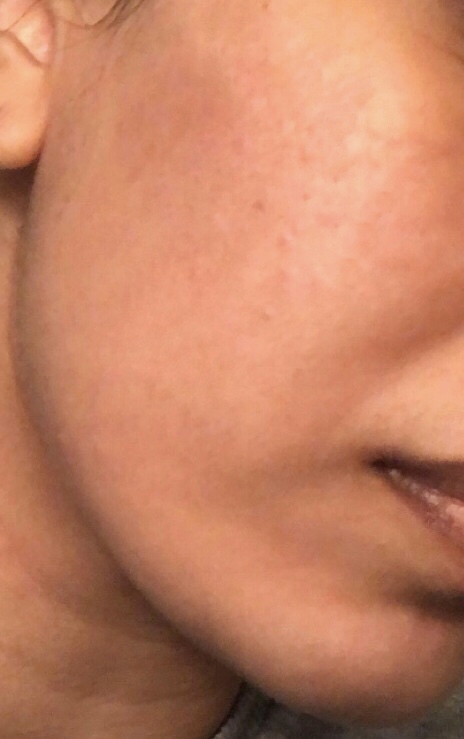 The photos attached show my skin before I started using AlumierMD products and treatment compared to 2 months after using AlumierMD ACNE range 2 times a day combined with the AlumierMD chemical skin peels. The AlumierMD products I’m using contain active ingredients such as; retinol, salicylic acid, lactic acid, kojic acid, and whitening peptides to brighten the skin (to mention a few) and I use the products 2 times a day without fail. They not only make my skin glow but feel hydrated without clogging my pores. It’s only been a few months and I’ll be honest, I feel as if my skin is not perfect yet. 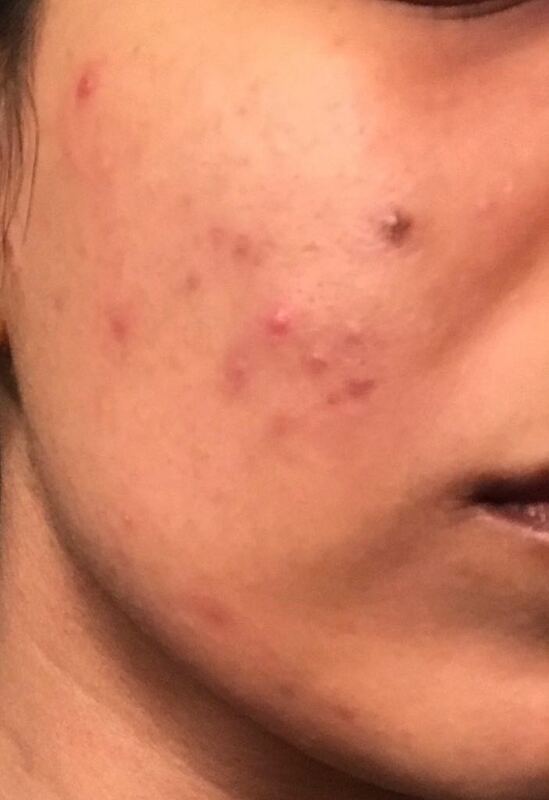 I still have some scarring with minimum breakouts. Although my AlumierMD treatment sessions are not finished you can definitely see a difference in my skin. I will continue using the acne and pigmentation products by AlumierMD and their salicylic acid chemical peels every 2 weeks which will help the breakouts and scarring. Overall, it’s genuinely amazing as I can now go out of the house with no make-up on and I feel so much more confident in my skin. It has taken me a lot of courage to write this story but I have done it for all of you who struggle too. I hope it helps those of you suffering from any type of acne or skin condition and remember you are beautiful! If you have any questions or would like to try AlumierMD Chemical Peels or Home-Care Products, please don't hesitate to contact us or you can always book a free consultation. As you may already be aware from my previous blog posts, I love helping our clients; it’s not just about enhancing their beauty but helping resolve their pain e.g. from teeth grinding treatment to Botox for headaches. If you asked me what’s most rewarding if I’m honest I started this business with my mother to help women, and men to solve medical problems delivered by trusted and qualified practitioners. Let’s face it, the media is pressuring us to look younger and research shows women are suffering from low self-esteem more than ever. The selfie/blogger generation isn’t going anywhere. As the beauty industry turn to plastic surgery or spending thousands a year on make-up, we believe in subtle temporary beauty enhancements to bring out your natural beauty and feel confident instantly. Our next client was one of the most rewarding and the reasons I wake up in the mornings as her confidence was low. Meet Sharai Toner, a European PA who came to us as she was suffering from a long-term illness and felt it had aged her. As a result, it left her feeling down, defeated and confidence was at an all-time low. “I felt I’d aged prematurely due to a long illness”. Before any treatment we have a consultation, my mother and I try to put ourselves in our client's shoes. In Sharai's case, it made me think, she's in the peak of her life and unlike others, she had already been through a lot and simply wants to love herself again to bring her confidence back. Imagine suffering from an illness with the stress and pain eating you from inside and when you’re finally on the other side you look at yourself in the mirror and the suffering continues. The Anti-Ageing Packaging was ideal for Sharai, as it included lip filler treatment, Botox that focused on her frown lines and dermal filler for her smile lines (lines from her nose to mouth area). These are areas which develop with age and need to be targeted early for best long lasting results. I cannot put into words how I felt when Sharai shared how she felt after the treatment...“I did not expect the difference to be so profound and make such a massive difference to my self-confidence”. We wanted to make sure she was happy, so we caught up with her after her treatment and you’ll be pleased to know she now no longer feels the need to wear make-up and feels great! “I look young and fresher, no pain after the swelling”. It is an honour to be able to help women and men and be that beacon of light and we hope Sharai health, happiness, and a beautiful future. If you're still unsure or have any questions, don't hesitate to contact us or you can always book a free consultation. Last week we shared Layla’s story, she came to us for Botox as her headaches were affecting her daily life. Meet Sales Consultant, Daniel Lennon, who had a similar pain but it was affecting his sleep and caused by teeth grinding, also known as bruxism. As a Qualified Hygienist, I see many patients who suffer from teeth grinding and it’s more common than people think; it's estimated 50 to 95% of adults suffer from the condition. Teeth grinding most commonly occurs whilst sleeping; it can start from headaches, sore jaw, gum recession, tooth sensitivity to loose teeth, shortening of teeth and even lead to loss of tooth structure. And long-term it can cause cracked and broken teeth and even damage to the bone structure of the jaw. Normally your partner would be able to tell you if you grind your teeth, if not, your dentist who would be able to tell from the state of your teeth or if you wake up and suffer from headaches you would do as Daniel did book an appointment to visit your dentist. Although after visiting the dentist and trying alternative dental treatment, Daniel was still suffering and wasn’t satisfied to the point he became frustrated as nothing seemed to be working, so he decided it was time to try Botox. Botox is not just available for aesthetic purposes but can be used as a quick, painless and non-surgical solution to stop teeth grinding. Botox works by preventing the muscle contraction, which is involved with teeth grinding/clenching. You may be wondering if it actually works? Well, Daniel was over the moon with the result, and told us he was really glad gave Botox a try, as it not only helped with headaches but dental problems, sleep disturbance and slimed his jawline. For those of you who may be thinking about it, you will be glad to know, Daniel added it was pain-free and he hasn’t had any issues after the treatment. He even stated he can finally wake up with no pain in his jaw after a long time of suffering. We are always happy to hear we eliminated the pain from our clients, as that was one of the main reasons my mother and I started the business. If you suffer from teeth grinding we hope sharing the knowledge will help you too but if you're still unsure or have any questions, please don't hesitate to contact us or you can always book a free consultation. Meet Layla, our regular client, who was ever so kind in letting us share her Botox and lip filler experience. It was great to get her input for this blog post and we thought why not share some top tips for those of you who are not sure about going ahead with the treatments. You may have heard of Botox and lip fillers as they are very popular in London. And our clients not only come from Luton and London but Bedford, Harpenden and Milton Keynes and prefer these non-surgical treatments as they are not permanent for beauty enhancement. Also, did you know Botox has been a godsend for people who have excessive sweating, teeth grinding and even headaches in Layla's case? 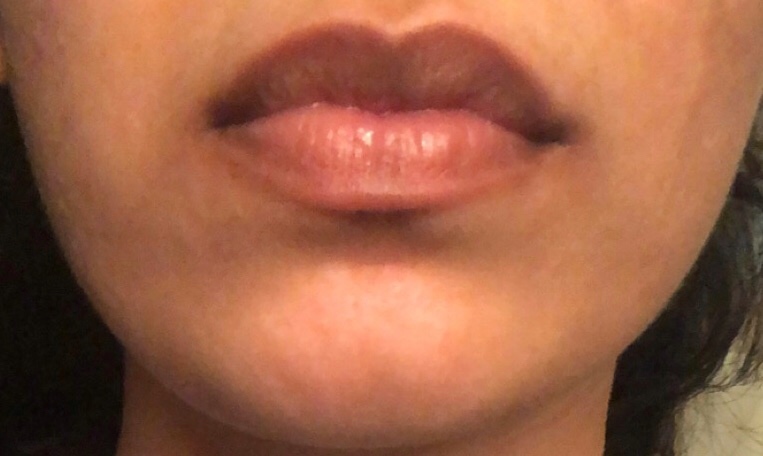 Layla came to us as she had toyed with the idea of Botox for her headaches and lip filler for quite some time... "I've always wanted to enhance the fullness and shape of my lips". In addition, she informed us her headaches were becoming all too frequent and affecting her daily life and heard Botox could be a solution. Although rather than just going to any practitioner she carried out her research to see what were the implications, if it would work for her and once she was satisfied, she researched for reliable trustworthy practices. Botox injections are commonly known for cosmetic purposes, yet it also plays a crucial role in treating certain medical conditions, as a result, Botox is now widely used by the medical professionals to treat chronic migraines. If you're wondering how it works, Botox acts as a muscle-paralysing injection, which has nerve-blocking effects. It's been tested for several years and is seen as a reliable, effective and safe way to treat certain medical conditions by medical practitioners, such as headaches. In the cosmetics industry, Botox is used as a temporary solution to treat fine lines and facial wrinkles. The effects are fully reversible within time and have a very low risk of side effects. "I honestly feel fabulous! 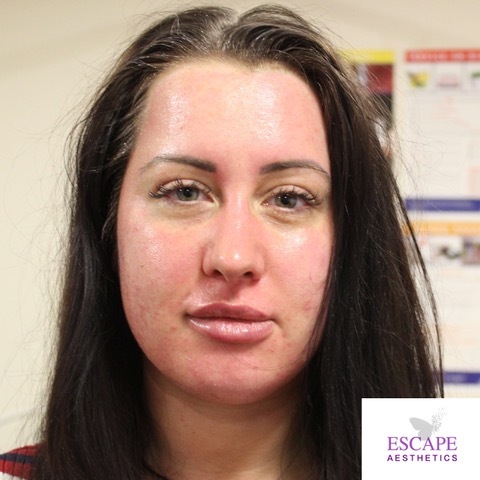 The treatments with Ani and Shameem at Escape Aesthetics are always quick and relatively pain-free. No matter how nervous I feel, I am always met with friendly, welcoming faces and a warm caring atmosphere that immediately puts at ease. That matched with a professional and patient-focused clinic space, I can see why the ladies are successful aesthetics practitioners." Oh, and if you're wondering did Botox reduce Layla's headaches? Thanks to Layla, we've added our top tips, which will help you with your research and when deciding whether to go ahead with any treatments. Always do your research and ask yourself, 'could the treatment actually help me with my headaches? ', as there's always a possibility it may not work. Find practices that seem reliable, from checking the location of their surgery, professional practises have websites and reviews on Facebook and Google. If they have less than 20 reviews, be aware it may not be accurate. It's definitely worth checking out the practice and use a new injection. If you're not sure, book in for your face to face consultation. Most reliable practices will take their time to advise you, and tailor the treatment to your bespoke needs and they should work with you to achieve the desired final outcome. We hope Layla's input and our top tips help to make your decision easier.